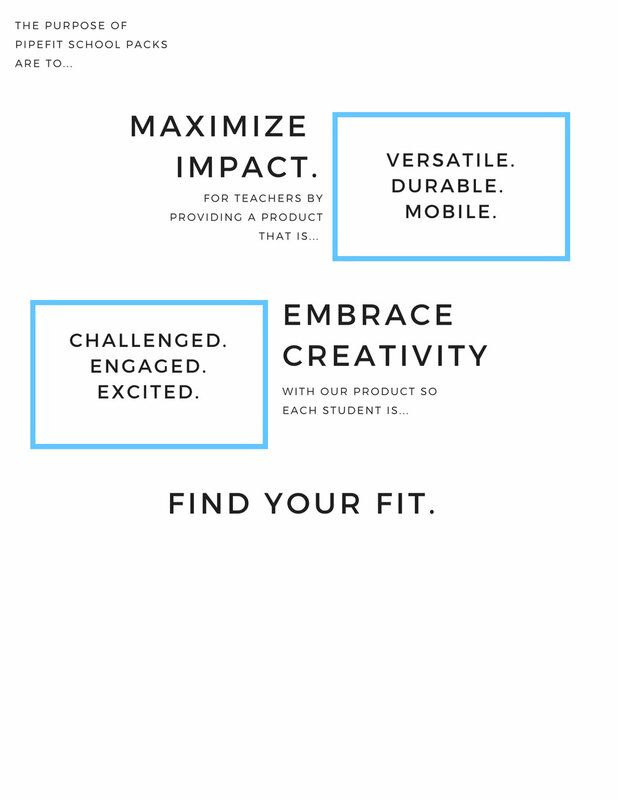 Our co-creators have a combined 20 years of teaching experience and actually founded the idea of PipeFit from that experience in the classroom. Our PE Pack is what you’ve been looking for. Our system is multifunctional, so you’re not limited to a unit of study. It fits whatever you’re teaching. With PipeFit you’re not learning a brand new curriculum, you’re taking whatever you want to do and having the perfect resource to plug in for any physical literacy concept. Not to mention the versatility of using the product whenever and wherever you want. Use it in the gym, outside on a field, in the bus parking lot, and even in a classroom or hallway. With the color-coordinated system we’ve developed, set-up is so simple that even your students will be able to help.